I’m pretty sure you all must be wondering for my radio silence recently and that’s because I’ve recently changed jobs! I have also changed the industry, which I work in as well, and so it’s a massive change to adapt to. I’m really enjoying my new job and it’s actually partly to do with websites and so eventually I hope this will help me make Fashion-Train better! 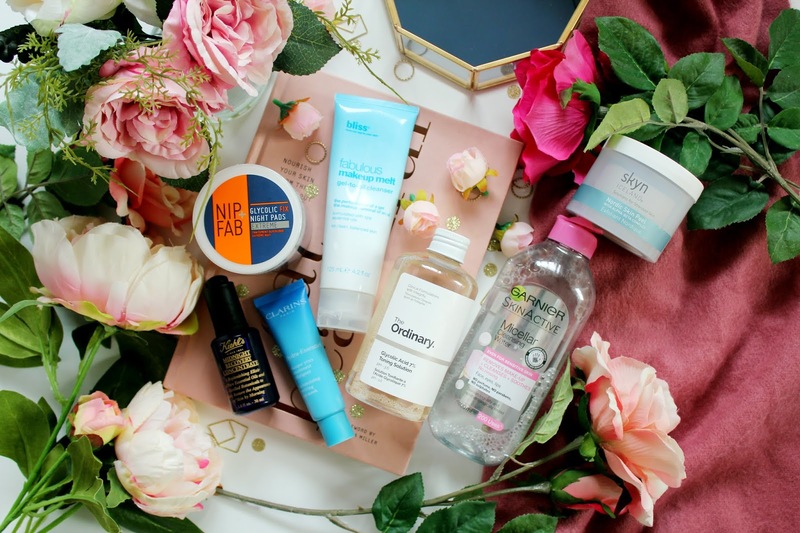 But yes back to the blogging and not the life update… right now I actually feel like I have my skincare routine down to a T. I am happy with the state my skin is in and also the products I am using which range from higher end to high street. 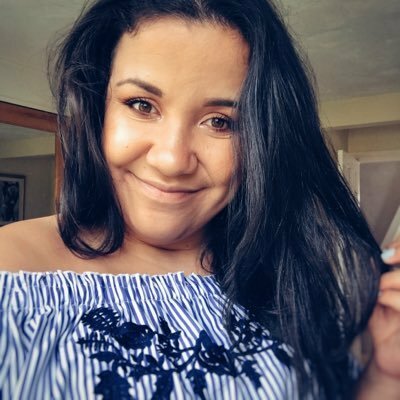 I have some products which are recent editions to my routine (so in the past 3 months) and some products I’ve been using for years. So… you want to change up your skin care routine? Well you can with the help of my recommendations and from as little as £4. I’ve been using this micellar water from Garnier for years and this costs just under £4. This 400ml bottle lasts up to 200 uses but I reckon it’s about up to 300 really as a little goes a long way. This micellar water is suited to ALL skin types and is gentle on the skin when you use it. If you’re feeling lazy and want a harm free fuss free way to take your make-up off then this is the product for you. The only thing I’d say is this gets off 90% of make-up off but when it comes to mascara, then you’ll need an eye make-up remover for that. I recommend the Clarins eye make-up remover as it works an absolute treat. 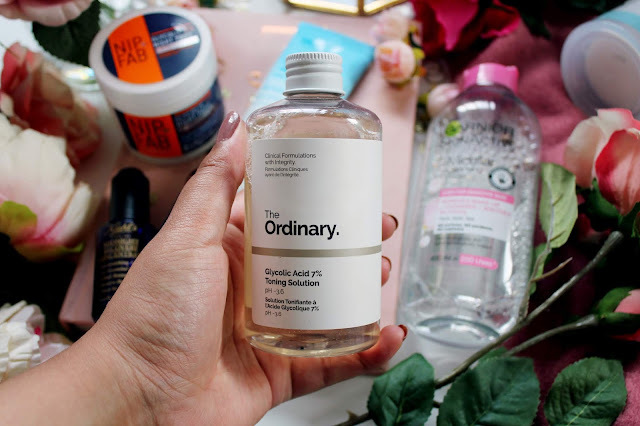 If you’re a fan of the Pixi Glow Tonic and you are looking for something on the cheaper side of the spectrum, then you’ll need to pick up this toning solution from The Ordinary. It’s not in stock on Beauty Bay (which is where I got it from) but you can find it in stock here. In my opinion, this is just as good if not better than the Pixi Glow Tonic, especially if you’re on a budget. I’ve been using this for around a month now and it’s worked for me as well as the glow tonic has. It’s gentle on the skin and leaves your skin SO smooth. So if you’re looking to save some cash, then I’d pick this up ASAP. 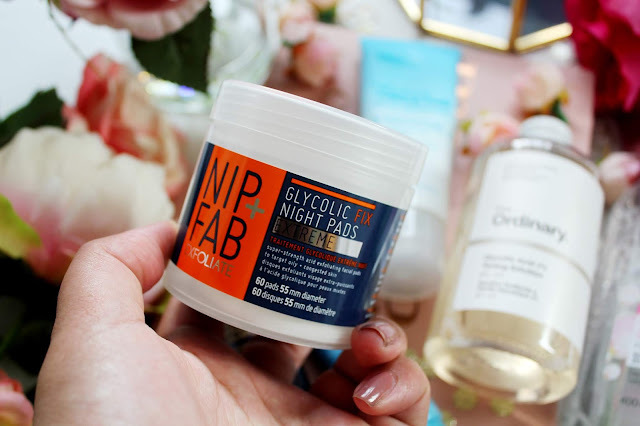 Ever since Nip+Fab came to the UK I’ve been using their Glycolic Fix range. I have gone through so many of there pads and yet I’ve never tried the extreme night-time pads. This set differs from the original range as they are super strength and packed with Glycolic acid, Salicylic acid and Lactic acid. These pads are particularly good for oily and congested skin and can help declog your pores! I only use these pads once or twice a week for when my skin needs a lot of TLC. I discovered this cleanser when I went through a ‘shop my stash’ phase and I am gutted that I haven’t used this sooner, I suppose I was very stuck in my ways with the products I was using! However, I am SO glad I have discovered this as it smells of grapefruit and removes even waterproof mascara, amazing right?! 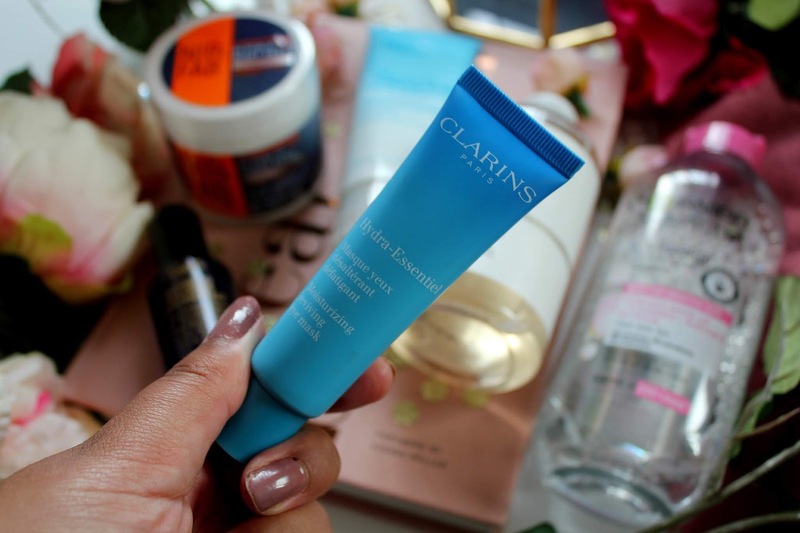 If you’ve been a reader of my blog for a long time, you’ll know how much I love Clarins products. So when I heard that Clarins were bringing out an eye mask as part of the hydra-essentiel range, I knew I needed it. 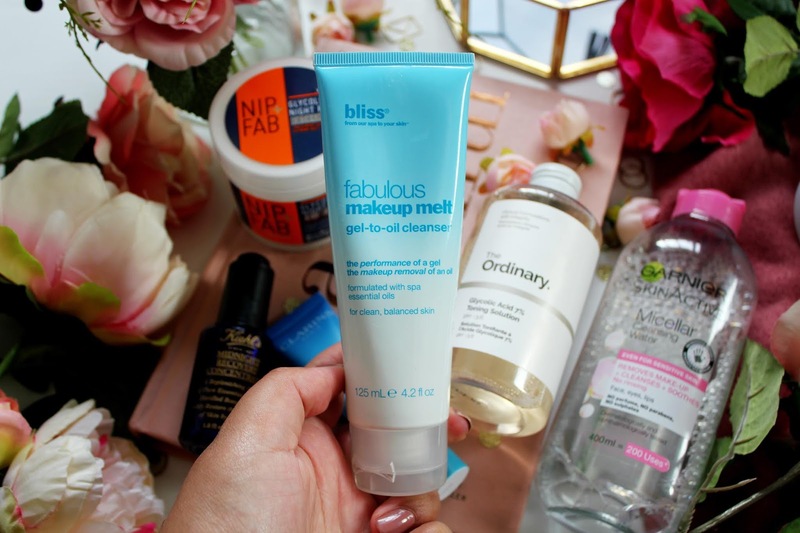 This mask is super hydrating and leaves your eyes looking and feeling fresh in only 10 minutes. How I use this is once I’ve done my skincare routine at night, this is my last step. This eye mask is cooling once you’ve applied it and it can help reduce signs of fatigue and when you suffer from dark under eyes, this product will be your new best mate. If you’ve followed me for a long time you’ll know I am a huge fan of Kiehls products. One of my most proudest moments through blogging was actually being able to shoot some content, which appeared on their Instagram page! 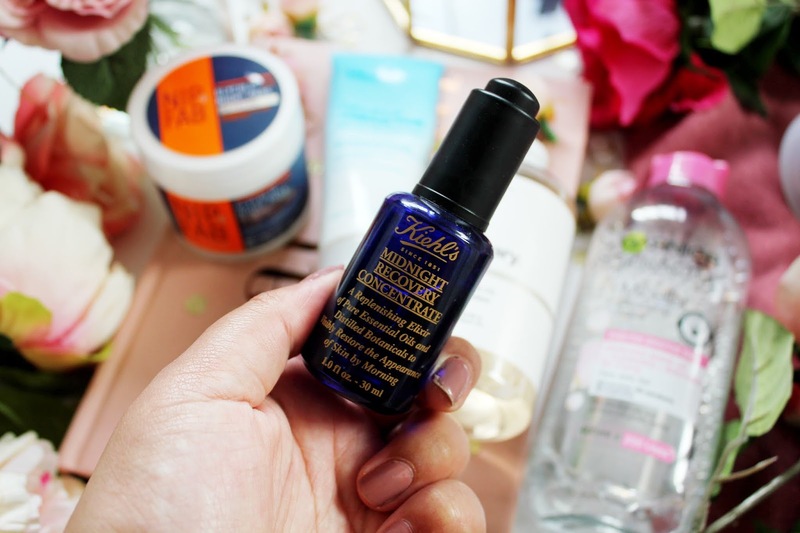 My favourite product from Kiehls I’ve tried so far is definitely the Midnight Recovery Concentrate and this is my second bottle I’ve gone through! I love using this after removing my make-up in the evening as it helps my skin look young, feel smoother and my make-up goes on the next day SO well. A few weeks ago, I was lucky enough to receive a couple of PR samples from the brand Skyn Iceland. 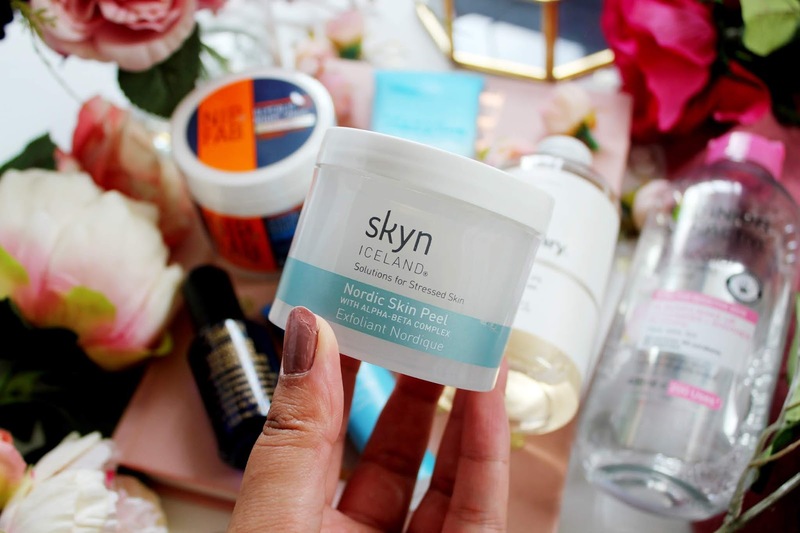 Skyn Iceland is a brand that I’ve wanted to try for a long time, as I have heard nothing but good things regarding it. Having been a huge fan of the Pixi Glow Tonic and the Nip+Fab Glycolic Pads, I knew I’d like these pads. I’ve been using these for 3 weeks (I am pretty sure it’s three weeks) as you’re not supposed to use these pads every day. I use these pads about twice a week or once a week deciding on how stressed my skin is. I use this as the very last step in my skincare routine. I only use one pad (as that’s more than enough) and it helps dissolve dead skin cells and recapture your skins natural glow. I can confirm that these pads might just be the best skincare product I own and I always get compliments on my skin after I have been using these the night before! 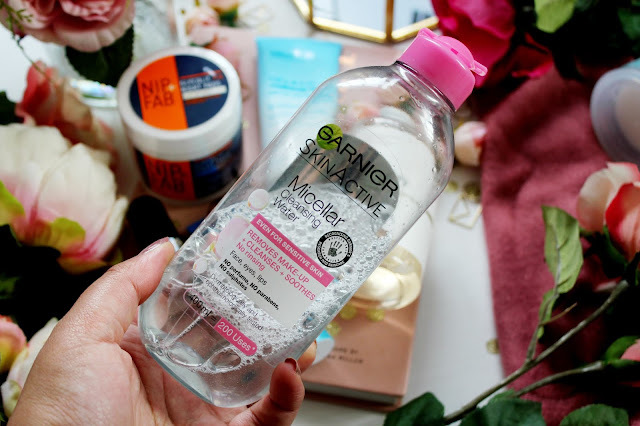 The Garnier Micellar Water is always a favourite of mine! 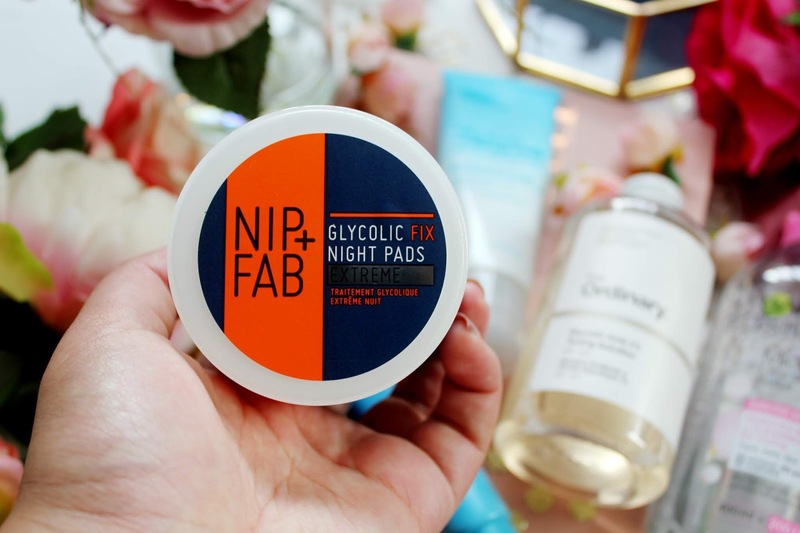 I love the Nip+Fab pads - I really have to buy another tub of them. I'm also using the glycolic acid from The Ordinary and agree it's a keeper! 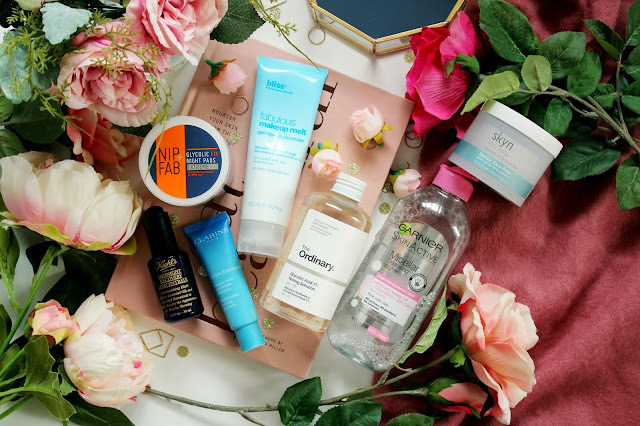 I swear by micellar water! Its my favourite skincare product ever!